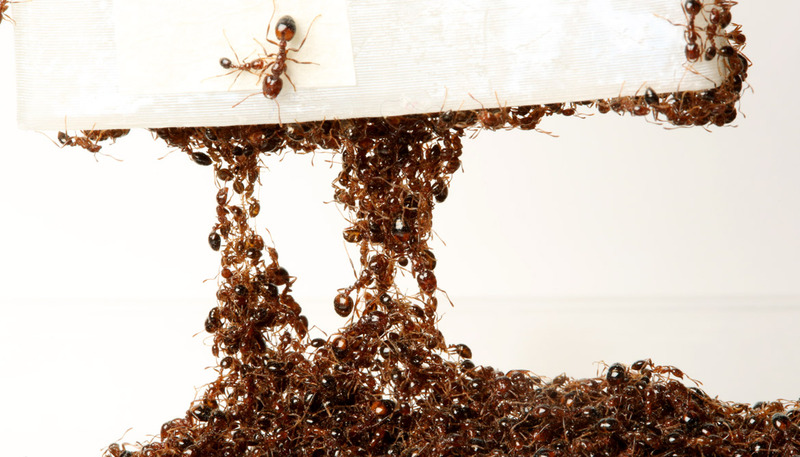 Ants are actually liquid-like and solid-like at the same time, according to new research. These properties could explain the remarkable ability of collections of ants to change shapes and tasks based on the demands of their environment. When floodwaters hit, they self-assemble and form rafts to stay alive. They can also use their bodies to build bridges and span gaps. 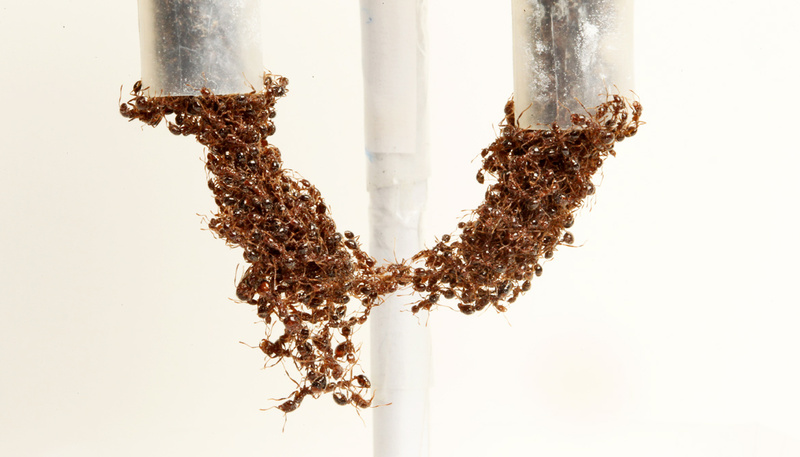 A group of researchers from Georgia Tech probed the mechanical properties of fire ant aggregations by putting thousands of ants into a rheometer, a machine used to test the solid-like and liquid-like response of materials such as food, hand cream, or melted plastic. 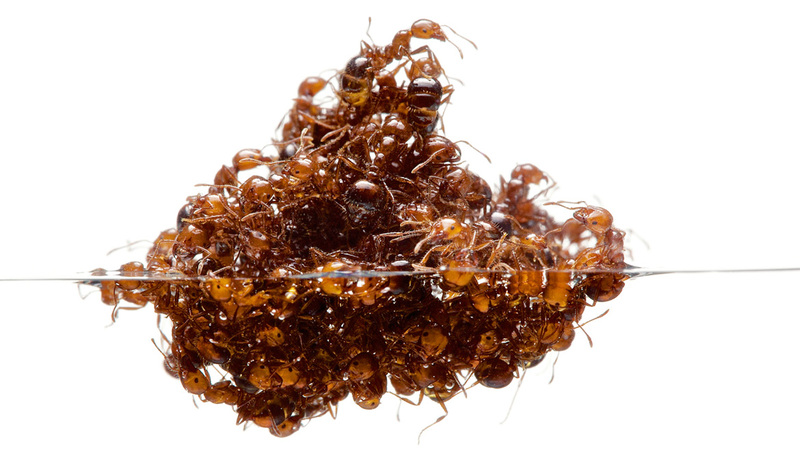 Dropping a penny through an ant aggregation creates this same behavior. Ants will flow around the coin as it sinks through the aggregation. This flow takes a relatively long time to happen. However, when the aggregation is poked quickly, it responds like a spring and returns to its original shape. The group quantified this by looking at the ants’ response to tiny wiggles of the rheometer. They found that the ants are equally liquid-like and solid-like. They did the same experiment with dead ants and saw that they are also solid-like. 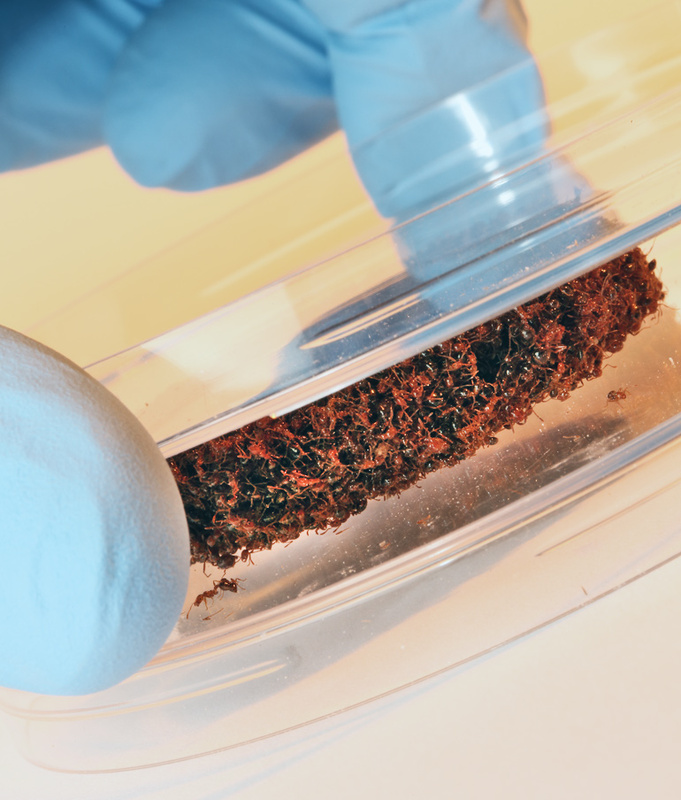 This showed that live ants are liquid-like and solid-like because of their activity. “Remarkably, the observed behavior is similar to what is seen in materials that are not alive, like polymer gels right at the point when they become a gel,” says Fernandez-Nieves. The study appears in Nature Materials. The US Army Research Laboratory and the US Army Research Office Mechanical Sciences Division, Complex Dynamics and Systems Program, supported the work. Any conclusions expressed are those of the principal investigator and may not necessarily represent the official views of the funding organization.